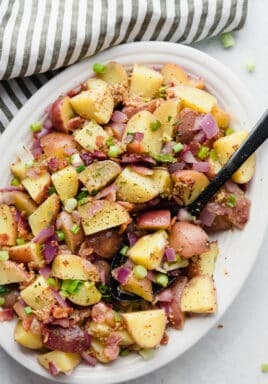 PIN this recipe to your SIDE DISH BOARD to save it for later!! 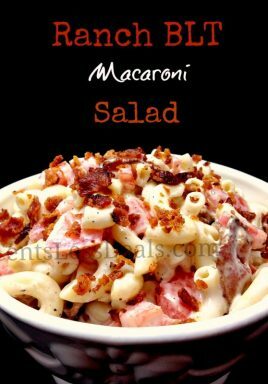 In a large mixing bowl combine the macaroni, Ranch dressing, tomatoes and crumbled bacon. SEE!! I told you it was easy 😉 Enjoy! 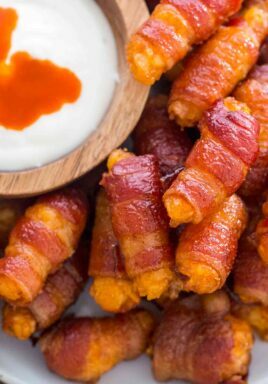 I will definitely make this for the 4th!! What size bottle of ranch do you use? 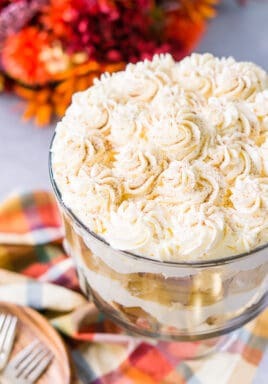 As always, thank you posting amazing recipes! This looks delish! Just curious, what size bottle of Ranch should I use? 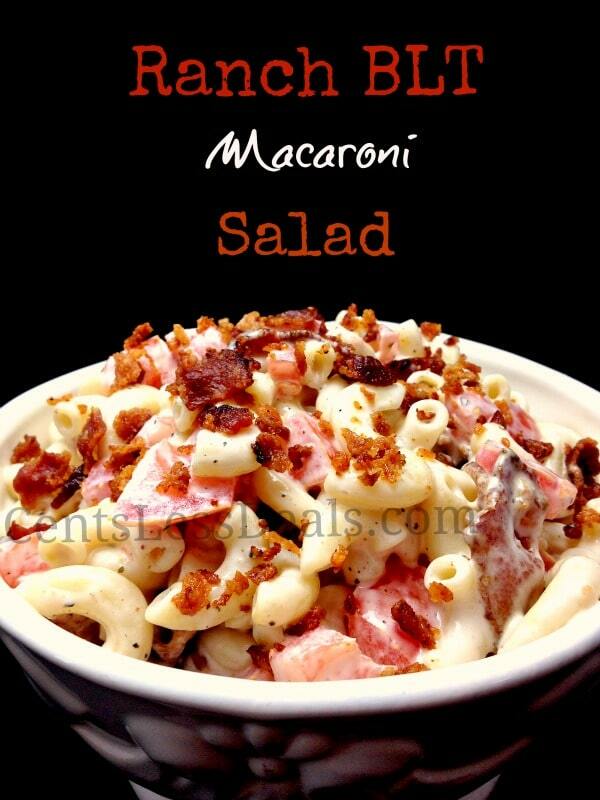 This macaroni salad looks great and I definitely love the ranch flavor! I am featuring this at Showcase Your Talent Thursday. https://www.whatscookinglove.com/2013/06/showcase-your-talent-thursday-65.html. I also shared it on Facebook and pinned it! I would agree. This is my favorite as well! Ohhh your macaroni salad sounds SO GOOD!!! Looks like a great picnic dish!!!! Thanks for sharing, I’ll definitely try this out this summer!!!! We would really enjoy this salad. Hope you have a wonderful week end and thank you so much for sharing with Full Plate Thursday. I added romaine lettuce, herbs from my garden and green onions and everyone raved.